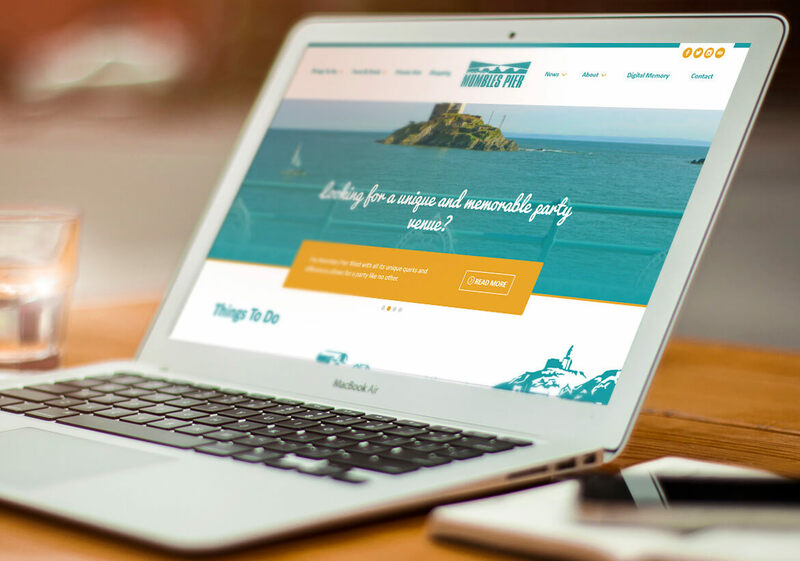 Mumbles Pier was a great website to design and we really loved working with their marketing team on this project! Mumbles Pier first approached us because their old website was dated and in need of a ‘face-lift’. Using their current logo and branding, we redesigned them a fresh, funky but professional website. We created a rolling header banner on the homepage allowing the marketing team to showcase their fabulous photographs of the location, which will most defiantly draw in users to explore the site further. This site is a great example of where we have used a stylish block layout with funky colours to make the site more user friendly. Using blocks of orange followed by turquoise helps divide content up into manageable easy chunks. This means that when users visit the site they can skip straight to the information they are interested in, making the website easy for them to use. We also designed call to action buttons to always be shown in the bright colours contrasting against the white background. Again, like the text this makes it clear for users to see the icons and helps them on their customer journey throughout the website. Simple design techniques like this will make the site a lot more popular and will help to lead to better business for Mumbles Pier! To improve the SEO on this website, we built in an Instagram feed into the footer of the site. This is great because it means that the website is continuously updating with fresh images of the Mumbles and also helps to keep Google happy! We love this site and look forward to working closely with Mumbles Pier Marketing team in the future to support them through all their digital needs. Using their current logo and branding, we redesigned them a fresh, funky but professional website.